How do you like to vacation? 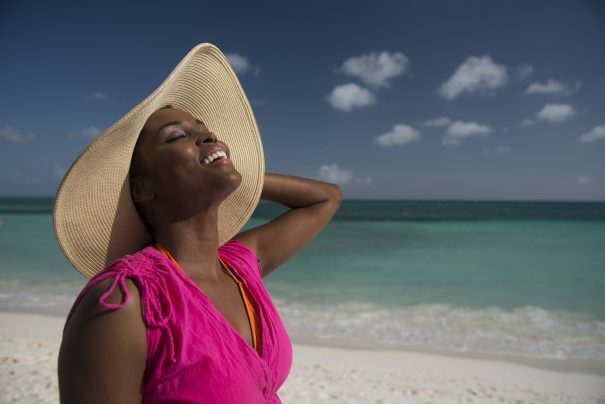 Are you the kind of person who just needs some sunscreen, a beach towel, and a clear schedule? Do you prefer to try tons of new things and search for adventures? 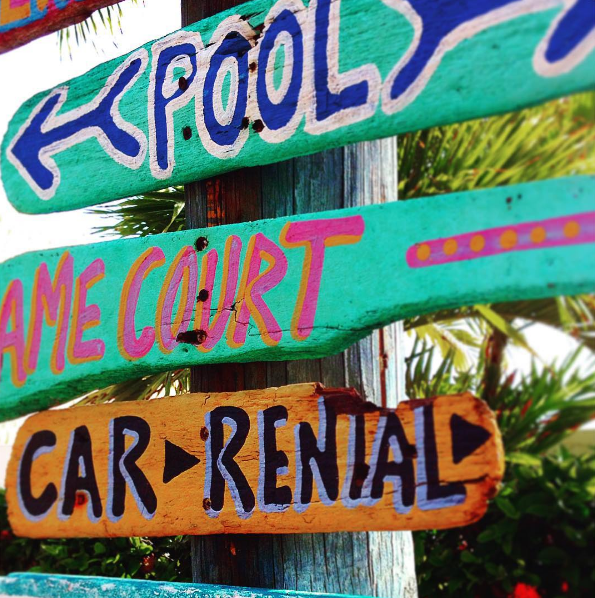 Or do your vacations fall somewhere in between? 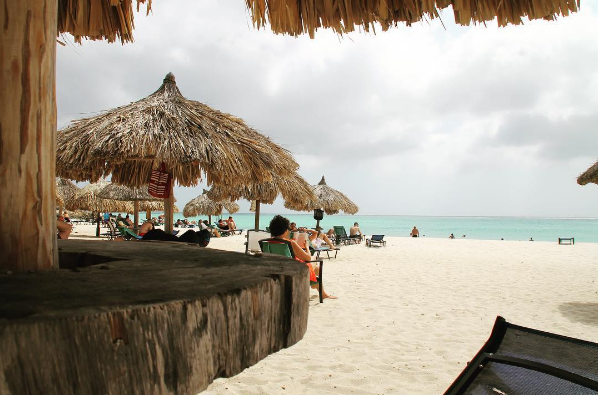 Regardless of the type of vacationer you are, Aruba offers so much to do. We’ve listed a few activities here that we’ve found to be crowd favorites. There’s something here that just about everyone will enjoy. The government of Aruba has dedicated approximately 18 percent of the island to this national park. It has many walking trails that are well-kept and remain open to the public for exploring. Some tour companies offer guided tours through this massive protected area that is practically bursting with scenic views and unusual wildlife. The park is safe to explore if you stay on the main path. You may encounter a few big iguanas—but they’re harmless, like most of the other animals that inhabit the area. 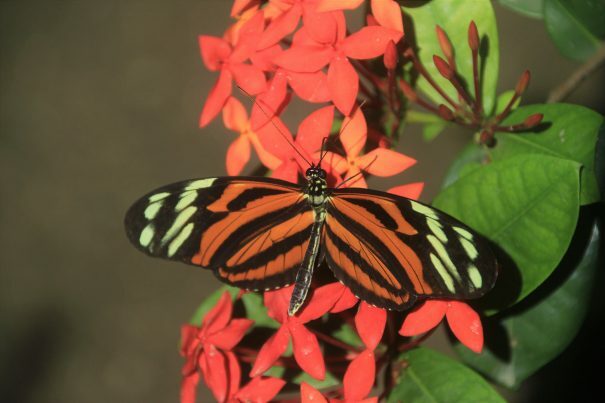 A visit to Aruba’s Butterfly Farm is an unforgettable encounter with nature in all its beauty and diversity. Step into a tropical garden teeming with butterflies from around the globe, and prepare to meet some of the world’s most colorful and unusual creatures. Observe the life cycle of these fascinating animals from egg to caterpillar to chrysalis to butterfly. Tour guides will entertain you with commentary on butterfly habits and the miracle of metamorphosis. Arrive early in the day and witness new butterflies emerging from their chrysalis and taking their first flight. The Farm also provides a rare opportunity for butterfly photography. It’s a sure delight for all ages. 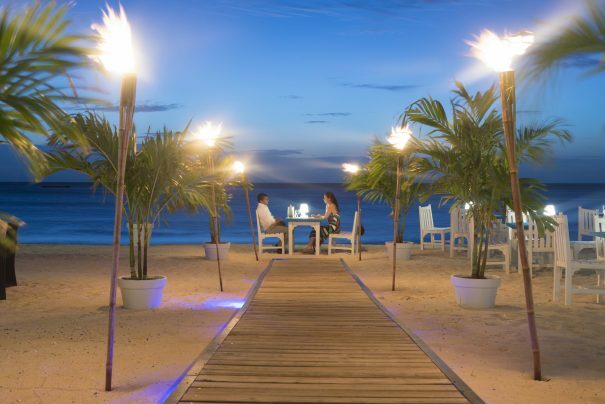 pureocean, an upscale restaurant serving globally inspired cuisine with a Caribbean twist, is hands-down one of the most romantic places on the island. 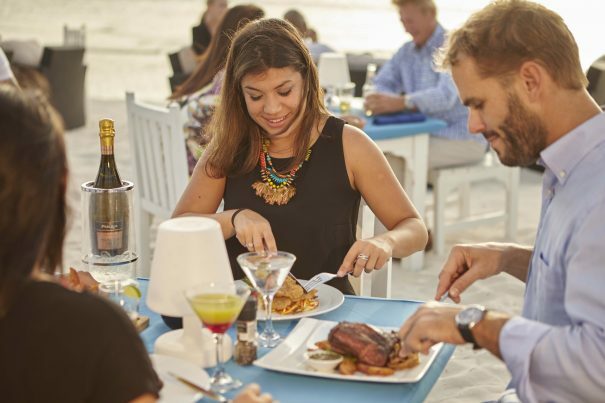 Located at Divi Aruba Phoenix Beach Resort, pureocean offers diners the opportunity to dine with their toes right in the sands of Palm Beach as they watch a stunning Aruban sunset. Executive Chef Anthony de Palm ensures culinary excellence. You’ll need to make a reservation in advance—you can do so via OpenTable. 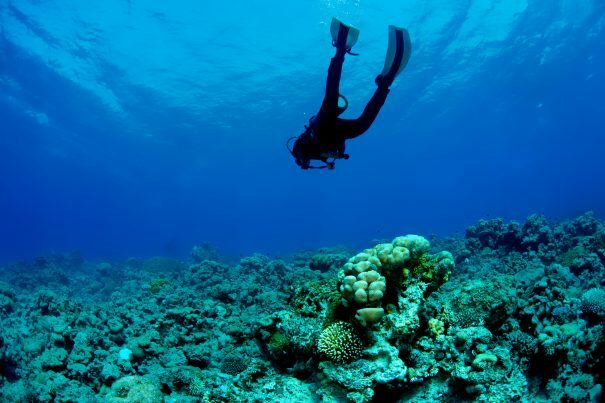 If you wish to learn how to dive, take a Resort Certification Scuba Diving Course. Don’t miss out on the beauty, not to mention excitement, of Aruba’s underwater world. 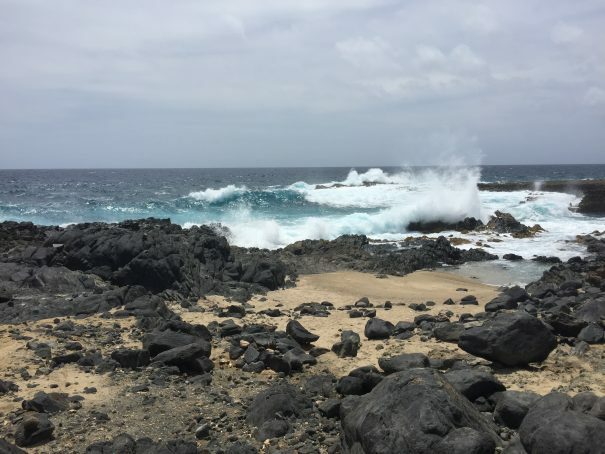 Divers with Open Water Certification can enjoy the many diving sites Aruba has to offer—go wall diving, reef diving, or explore wrecks sunk during World War II. If you’d prefer to remain close to the surface and snorkel, you can easily enjoy the beauty of the coral formations as well as the wreck sites, with a visibility of 100 feet at some locations. De Palm Tours offers a Snorkel Adventure tour that brings you to several must-see spots. 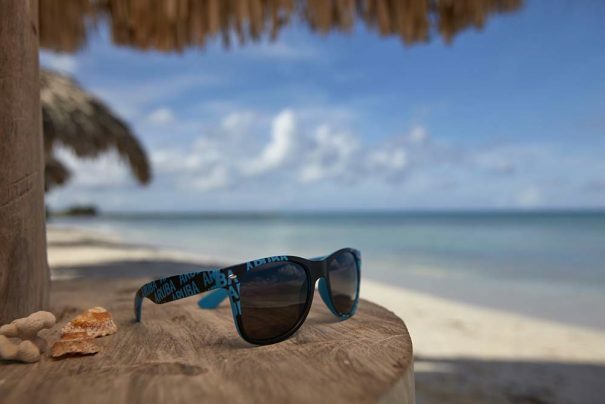 Did we forget to mention your favorite Aruba experience? Let us know about it in the comments! When you go on vacation, you’re probably taking photos—and you’re probably sharing them instantly. 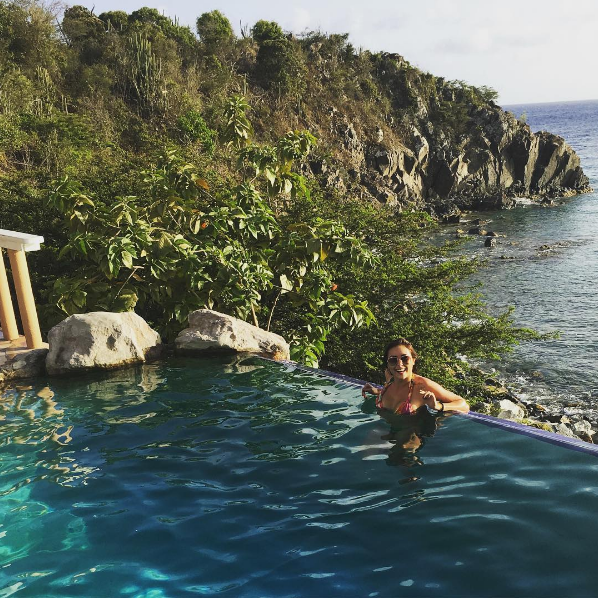 At Divi Resorts, we see dozens of vacation photos every day as we keep tabs on our social media accounts. We thought you might enjoy a few “best practices” from the Caribbean vacation experts on how to make your trip photos really pop. Your friends and family back home won’t believe what you’re posting on Instagram. #1 Your photo deserves to be framed! Take a look at your surroundings—sometimes you’ll find a great way to frame your shot, like with the roof of a palapa. Your Instagram followers will be jealous. #2 It’s the little things. Try taking closeup shots of the small, unexpected things that really define your vacation—the quirky items that give your trip its personality. #3 Switch up your angles. It’s fun to look at life from a different perspective! Experiment with unusual angles—high, low or from a vantage point that isn’t often photographed (make sure to be safe, though!). Photography has a “rule of thirds” for a reason. Just place your subject slightly to the left or right of center, and bam—your photo is more stunning already. Good job, you! #5 People are more than poses! Putting your friends and family in the photo is one of the best ways to keep your vacation memories alive. Make sure to get a few shots of the entire group together, but photos of people can be more striking when they’re candid. Good luck out there! We love seeing what a great time people are having at our resorts. If you’d like to share your awesome photo with us, follow us on Instagram @DiviResorts and tag us! Get Ready for Aruba Restaurant Month! Foodies rejoice! Aruba Restaurant Month is a very special time of year on our One Happy Island. During the month of October 2016, tourists and locals alike have been invited to explore the rich culinary variety available on Aruba. The theme this year is “Eat Local,” and more than 60 restaurants will be participating with limited-time menus highlighting their best takes on Aruban and Caribbean cuisine. Windows on Aruba and pureocean are both joining in this year, with special menus spotlighting local Aruban flavors and traditions with a twist. If you’re looking for a last-minute decadent getaway, this is the perfect opportunity. In honor of Aruba Restaurant Month, Divi Resorts is offering 30% off room rates, as well as daily complimentary breakfasts for two, for reservations on Aruba now through October 31, 2016. 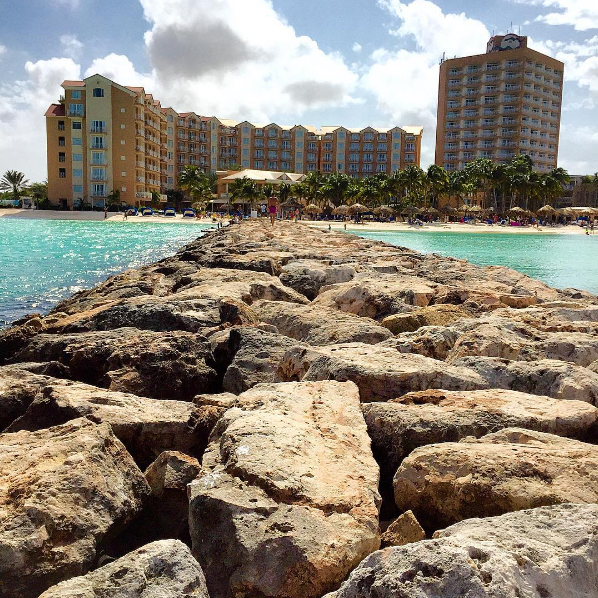 Choose from Divi Aruba Phoenix Beach Resort, Divi Dutch Village Beach Resort or Divi Village Golf & Beach Resort for a culinary vacation fit for a foodie’s dream. Divi Resorts is proud to announce its sponsorship of the 17th Annual Aruba Soul Beach Music Festival, scheduled for this upcoming Memorial Day weekend, May 24-29, 2017. As a gift to festival-goers, it is offering discounted “early bird” rates for a limited time to those interested in attending. Last year’s festival featured world-class headliners from the arenas of pop, R&B, jazz, and stand-up comedy such as Miguel, Fantasia, the Isley Brothers, Jazmine Sullivan and Tony Rock. Stacked full of similar powerhouse artists, the 2017 lineup will be released soon. Festival-goers can also look forward to beach and club parties that aren’t to be missed. Divi Resorts has also created a contest awarding tickets to the 2017 Aruba Soul Beach Music Festival. The first prize is a VIP package to the festival, including 2 Friday General Admission Comedy Show Tickets at the Renaissance Festival Plaza, 2 Saturday & Sunday General Admission Concert Tickets with 4 Gold Area Entry Passes at the Harbor Arena (2 Saturday/2 Sunday) plus 2 Party Pass Packages (total of 5 entries per person into 5 official Soul Beach Music Festival After Parties) with express entry access, in addition to a bonus package including 2 Friday General Admission Comedy Show Tickets at the Renaissance Festival Plaza and 2 Saturday and Sunday General Admission Concert Tickets. You can find more details, enter the contest, and check availability on rooms at www.diviresorts.com/aruba-soul-beach-2017.htm. More information on the 2017 Aruba Soul Beach Music Festival is available at www.soulbeach.net.